Cleanse, moisturize and protect skin all at once with these Aloetouch Protect skin protectant wipes, then simply toss in a wastebasket. Soft and gentle on skin, premium-quality cleansing cloths are pre-moistened with a hypoallergenic, pH-balanced formula. 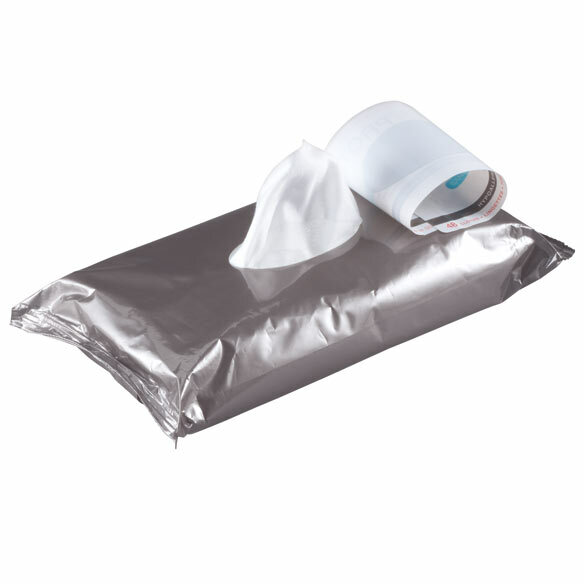 Aloetouch wipes are ideal for protecting skin at risk of breakdown from exposure to urine or feces. 3.2% dimethicone forms a protective cover on skin, locking in moisture to keep skin hydrated and guarding against rash and pressure ulcers. Use cleansing wipes at room temperature or warm for comfort. Includes 48 cloths; each 8” x 12”. Open package as designated. Remove cloths and thoroughly cleanse soiled area. Apply as needed. Dispose of cloth in waste receptacle. not wide enough, nor wet enough. dryed up to soon. I chosen this item as it's necessary for taking care of my 89 year old Mother. Looking for something gentle for my adult son who has CP. I CHOSE THE WIPES FOR EXTRA CLEANLINESS. I need these to cut down on the itching. Really help to keep my skin feeling good and clean. Stops irritation and itching. Purchased before. Happy with product. I'm disabled this will help me keep up with my hygiene for the days when it's extremely hard for me to get around and I'm alone. this item works great for me. To protect skin on feet of bed ridden husband. how many wipes are in package? BEST ANSWER: Thank you for your question. This item Includes 48 cloths; each 8” x 12”. We hope this information will be of help to you.